Nigeria needs to treat its movie industry like same way it treats its oil. This is according to Desmond Elliot, a Nigerian actor and member of the Lagos State House of Assembly. 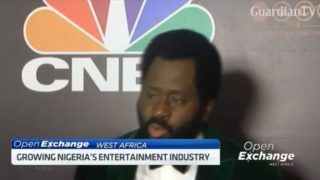 CNBC Africa’s Deborah Movoria caught up with him alongside musician, Dare Art Alade in Lagos.